Bursting with life and colour, GinRikSha brings the element of fun to their interpretation of international cuisines at Bukit Damansara. Formerly known as Mr Tush, GinRikSha’s new look and updated menu reflects their desire to provide a more exciting casual dining experience as they start afresh their culinary journey. With a name that is inspired by rickshaws for their presence in Asia and around the world, the founders of GinRikSha aim to experiment with more Asian cuisines in the near future. The focus of the menu now is the flavours of India, but don’t expect a typical traditional meal here. Creativity drives the construction of the menu and one can expect compelling dishes such as Butter Chicken Poutine, a Canadian classic with an Indian twist; Varuval Quesadilla, a South Indian pepper fried mutton and cheese wrapped in a tortilla and Masala Mussels cooked in a broth of coconut milk and spices. The dishes come in generous sharing portions and diners are encouraged to share. GINRIKSHA1 - Varuval Quesadilla, a South Indian pepper fried mutton and cheese wrapped in a tortilla. Ideal for sharing or pair it with your cocktails. 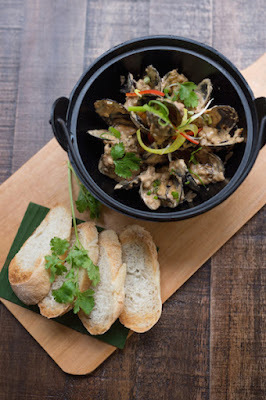 GINRIKSHA2 – Masala Mussels, A modern Indian spin on steamed mussels, cooked in a broth of coconut milk and spices. GINRIKSHA3 - GinRikSha offers a delicious variety of refreshing cocktails. Turning up the party is the cocktail bar lined with bright lampang tiles, manned by a skilled mixologist who loves concocting new drinks for the adventurous. 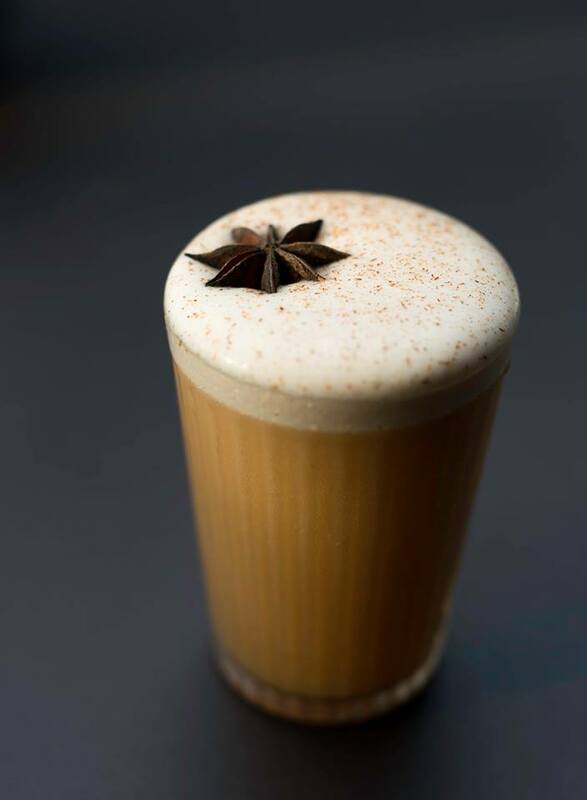 Venture out of your comfort zone and let her know your preferences, or hit her up with a challenge to customise a drink for you. GinRikSha’s cleverly named cocktails are carefully created to be paired with the bold flavours of the food they serve. The welcoming interior of the restaurant takes inspiration from the colours of Asia, resulting in teal walls and colourful rugs. The touch of old school charm culminates in the form of the feature piece on the ceiling: painted bicycle wheels that hang among the lights, an interpretation of the rickshaws that inspired GinRikSha. The comfortable al-fresco seating, perfect for lounging on a slow day, presents a more bohemian feel. GinRikSha plans to update the menu frequently so diners can look forward to new surprises every so often. Ladies’ Night are held on Thursday nights, where ladies are able to enjoy one-for-one promotions on cocktails from 6pm onwards. Friday nights are usually packed as the Friday Night Barbecue brings in the crowd with their delicious BBQ and cocktail offerings. As the restaurant moves on from its predecessor to its new identity, GinRikSha lights up Bukit Damansara with its vibrant presence as the place to go to for fascinating food and drinks to guarantee a great night out. GinRikSha. Our take on the jinriksha carriage, our name reflects the colourful character of the rickshaw, an iconic vehicle with a history that spans across Asia. 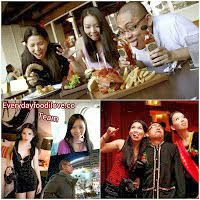 You’ll find the same in our food, which spells out the stories of our team: we’re from Malaysia, we’re from Goa, we’re from the Philippines, and we’re excited about bringing to you the homegrown classics we’ve known all our lives, fused together with the flavours we’ve found on our adventures around the world. GinRikSha is dynamic, long-overdue addition to the Malaysian food landscape, where our food may have a local core, but presents a strong mix of Asian flavours in a fun, easy joint in Bukit Damansara. Like the rickshaw, our food is a wildly vivid combination of styles you may not have expected, but which keeps us on our toes, and you curious. ‘Jinriksha’: A Japanese term describing the two-wheeled vehicle pulled by man’s strength. The man is key- no one can contest the hardy charm and daring of the rickshaw driver, who gets you to your door come hell or high water. He is our inspiration, as it quickly becomes clear that at GinRikSha we’re as much about our people as we are our food. We’re excited to hear your stories, share ours, and ultimately shape your experience. ‘Gin’: Our little pun on jinriksha. Our bar is helmed by our super mixologist, whose sole aim is to create cocktails which can be perfectly paired with and ground our various dishes. 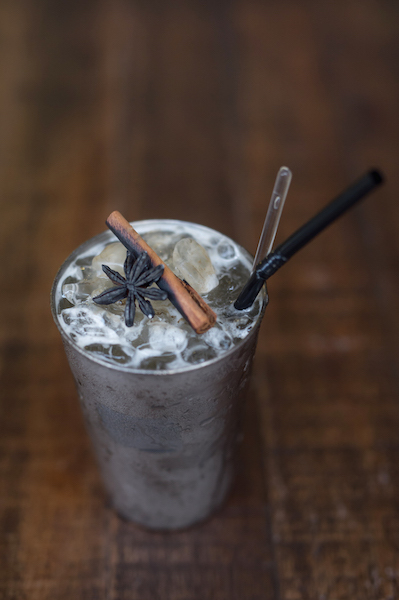 Asian spices are her playground, and combined with a range of alcoholic beverages, each of her creations pays tribute to their powers in a fresh way. 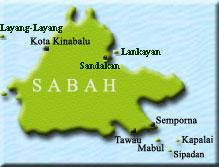 ‘Sha’: The first three letters of ‘share’. In our quest to embody the soulful connections food can create, we’re serving up our menu family-style. 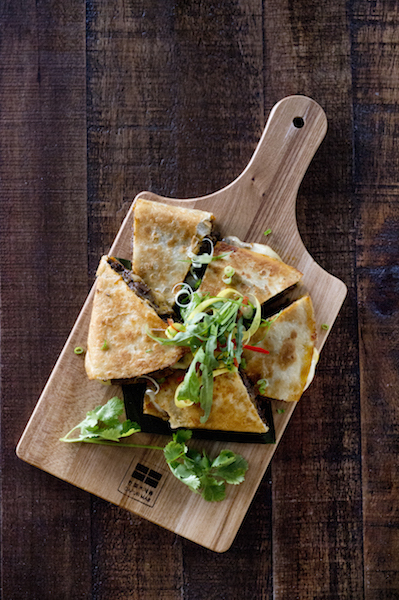 Our dishes are best experienced as sharing plates, ensuring everyone gets to sample our lovingly-crafted recipes. Beautiful flavours often come from the most unassuming ingredients, so we’re keeping the recipe for a good evening simple for you. GinRikSha invites you to come sit with us amidst the beautiful greenery of Jalan Medan Setia 1 for some good tunes, great drinks, and possibly the boldest and best tastes you’ve had in a while.